Includes a 2 year warranty from RF Parts Company! NOTE: For Export purchases, additional shipping / handling charges may apply. 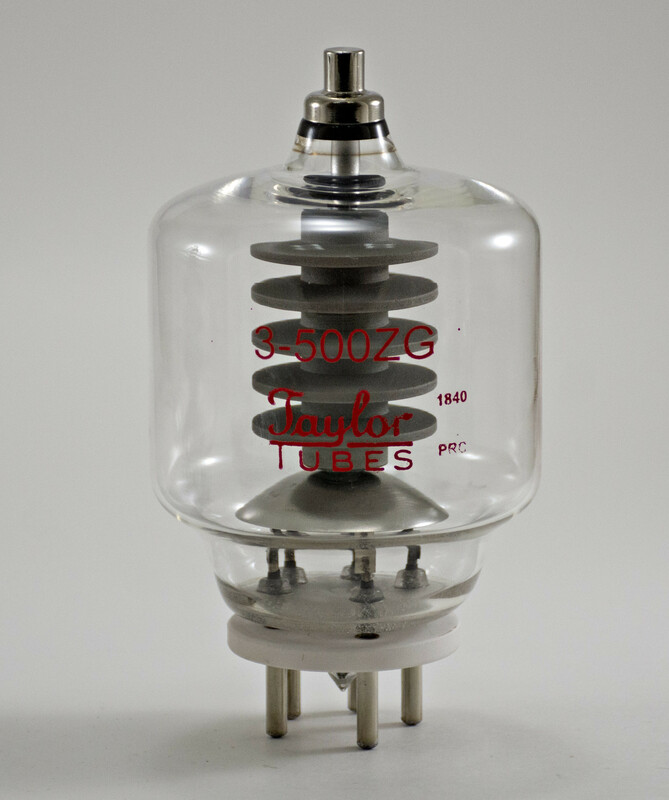 The most rugged version of the 3-500Z tube available. All Tubes are Lab Tested by RF Parts Company. The "RFP & Taylor Tubes" are the best quality graphite anode tube in the Eimac format. Virtually an exact copy of the Eimac 3-500ZG in both mechanical and electrical characteristics. 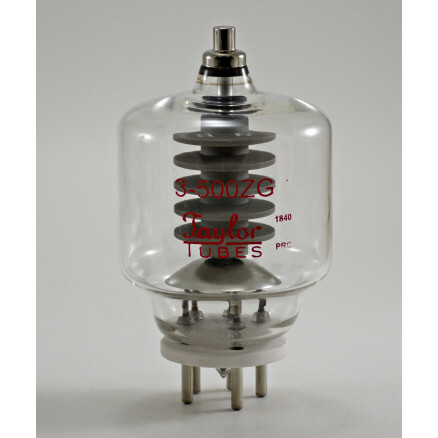 "RFP & Taylor Tubes" 3-500ZG easily represent the best value for the price, warranty included. All Tubes receive 100% RF Parts Testing. 2 Year Transmitter Tube Warranty from RF Parts Company. The "RF Parts - RFP" and "Taylor Tubes" 3-500ZG tubes are new production - Heavy Duty Graphite Anode version of the 3-500Z. They are directly interchangeable with the original 3-500Z. "PLUG AND PLAY". 100% Tested and "BURNED IN" at the RF Parts Company Facility in SAN MARCOS, CALIFORNIA. The "RF Parts - RFP" and "Taylor Tubes reliability is excellent, failure rate has been less than 1% during the 3 Year Warranty period. All 3-500ZG tubes are shipped by either: UPS, FEDEX, or USPS. They are packed with foam in a factory box and are shipped in an additional box and insured to guarantee save arrival.